Good things come to those who wait, and in this case to those who waited a long time. 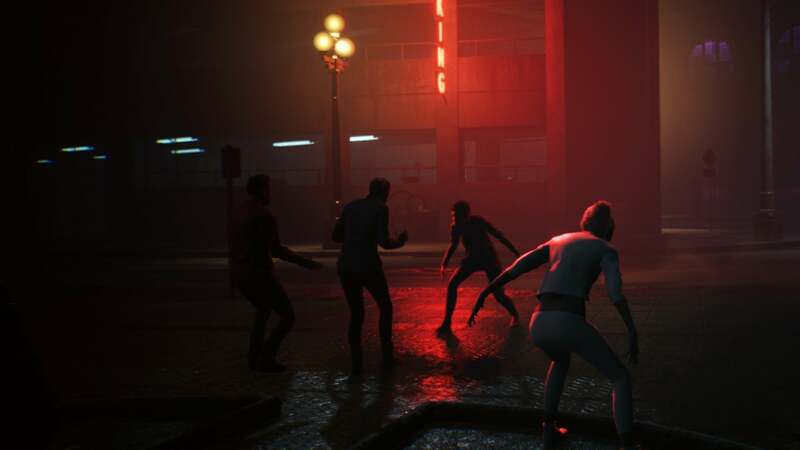 Fifteen years after the release of one of the most beloved “cult” role-playing games ever made, it’s finally getting a sequel in Vampire: The Masquerade – Bloodlines 2. And while publicly Paradox only showed a trailer at tonight’s reveal event, we were given a 30-minute behind-closed-doors demo at this week’s Game Developers Conference. Check out the trailer below, and then read on for more details. Bloodlines 2 begins with a slaughter. On a foggy Seattle night, vampires swoop down from the rooftops in Pioneer Square and conduct a Mass Embrace, converting a group of humans into so-called “Thin Bloods.” It’s a dangerous and illegal act. Abandoned to the world, these bewildered and naive Thin Bloods threaten the Masquerade, the elaborate social pact that prevents humans from finding out about vampires. As one of these Thin Bloods yourself, you’re captured and brought to trial. Wheeled before a council of the governing vampire clans, you’re asked to recall the events of that night in Pioneer Square, and thus expose the culprits behind this terrible deed. Your reward for cooperating? Execution. Except it all goes wrong. The trial scene implodes, first as the clans squabble among themselves, and then as an unexplained fire breaks out and engulfs the room. You take the opportunity to flee into the night, there to try and uncover who did this to you, and why. If you’re lucky, you’ll survive long enough to find out. The first person you meet, a fellow Thin Blood named Dominic, is executed before your eyes. “You’re not on my list,” the assassin growls before fleeing into the night—but that doesn’t mean you’re safe forever. It’s a hell of an opening, taking place in the touristy area around Piers 55 and 57, with the iconic waterfront Ferris wheel towering overhead. 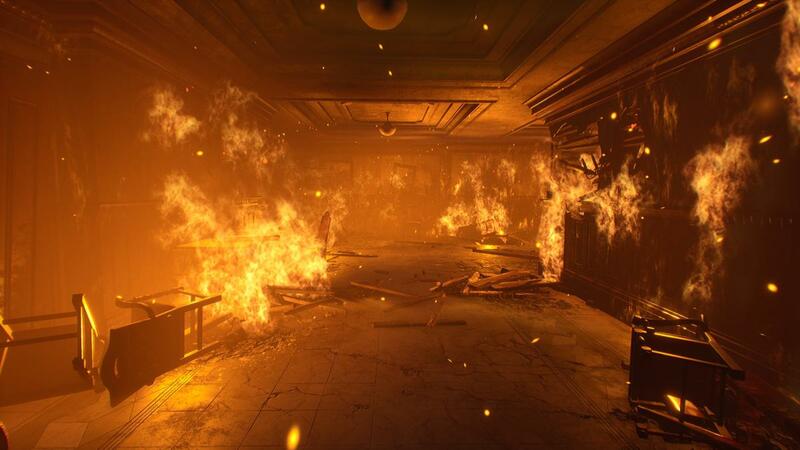 If you’ve followed the ARG Paradox has been running these past few weeks, chances are you already saw a screenshot of this area. 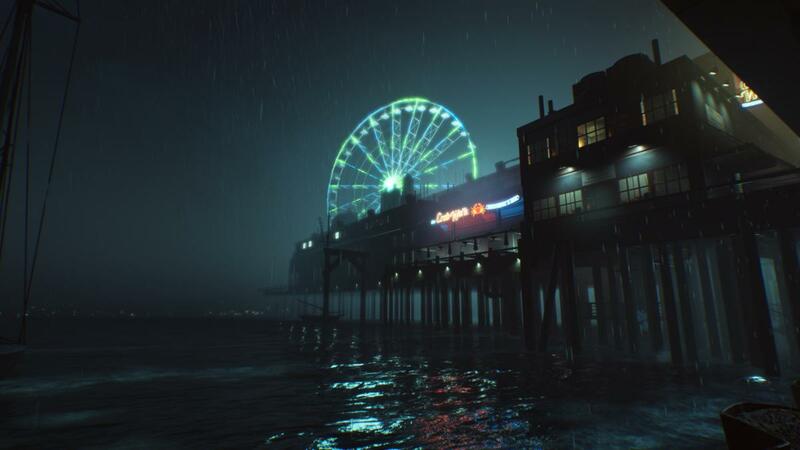 Perhaps you mistook it for Santa Monica, the setting of the first game. And that makes the developers at Hardsuit Labs happy, that they’ve captured the look and feel of the first Bloodlines enough that people thought a remaster was in the works. But no, this is a full-fledged and modern sequel. A real sequel. The setting is different, the characters are different, and the timeline has advanced another 15 years. The events of the first Bloodlines did take place in this world though, and could be referenced in Vampire: The Masquerade – Bloodlines 2. More importantly, it’s tonally a sequel. Hardsuit’s even brought back Brian Mitsoda, writer and designer on the first Bloodlines, as lead narrative designer for Bloodlines 2. From our demo, Mitsoda clearly has a great love for both source material and setting, talking at length about how the World of Darkness might work in 2019. For instance, a topic that comes up a lot: Everyone has cameras now. In 2004, when the original Bloodlines released, smartphones didn’t exist. The Masquerade, this mandate that humans must not find out about vampires, was a lot easier to maintain. In 2019, even a single misstep can cost you. Flying across a busy intersection? That’s a problem. And Seattle is a very different place from Santa Monica, particularly Seattle in 2019 versus Santa Monica in 2004. One of the first things I asked about was clothing. World of Darkness has always felt very ‘90s edgy to me, all leather and sleaze, a hybrid of The Matrix and Underworld. 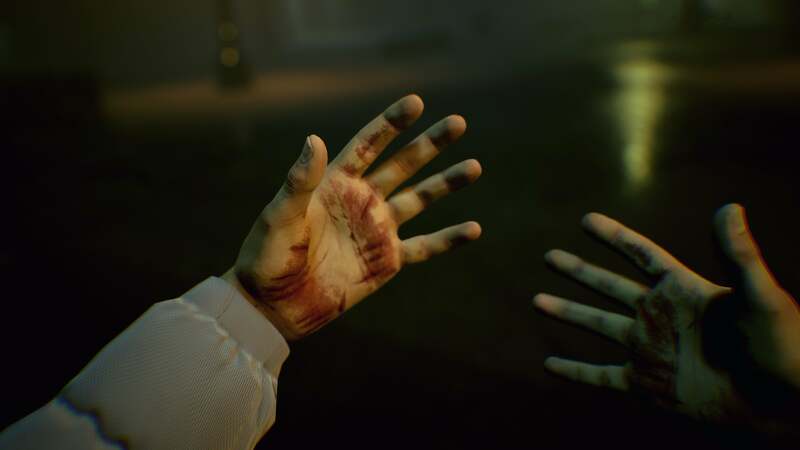 Vampires in Vampire: The Masquerade – Bloodlines 2 won’t necessarily conform to those stereotypes though. After poor Dominic’s death, the second friendly vampire we meet is Dominic’s old landlord Dale. Dale’s a shut-in, an information broker with an apartment full of junk and a propensity for bad jokes like “Stay out of the sun. This being Seattle, that probably won’t be much of a problem.” He wears a hoodie, and looks like the kind of guy you’d catch eating Doritos over the sink at 3 a.m.
That’s the reality, yeah? Vampires are meant to blend in, and that means adopting the mannerisms of Seattle, 2019. And that means tackling the sorts of social issues faced by modern-day Seattle as well—tensions between old Seattle and new Seattle, its industrial roots and the recent influx of tech money. 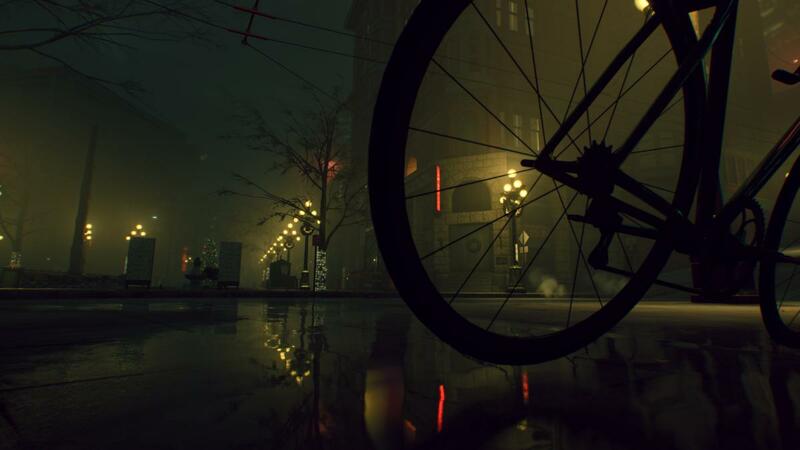 Mitsoda won’t go as far as to say “Jeff Bezos is a vampire,” but these are obvious topics for Bloodlines 2 to touch on in a Seattle setting, and ones that (as a resident of San Francisco) feel very close-to-home. It wouldn’t be a proper sequel without those topics, of course. It’s part of what makes the original Bloodlines interesting, using vampires as a (heavy-handed at times) metaphor. 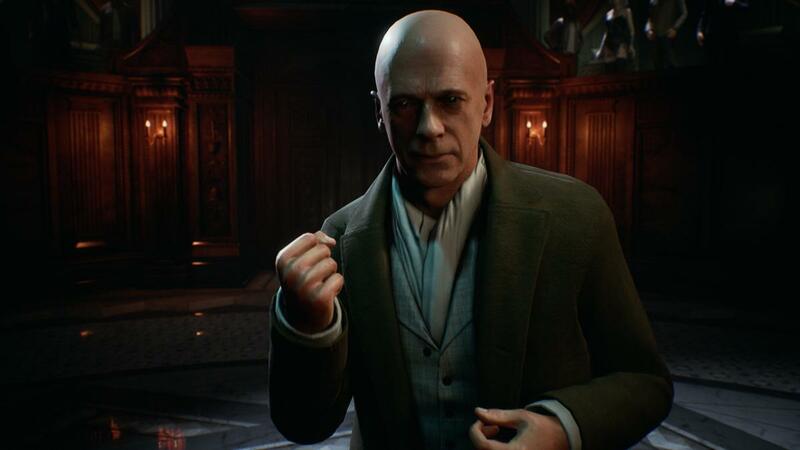 The question is whether Bloodlines 2 can touch on these topics and give players choices without dipping into bad taste, a problem that recently afflicted the fifth edition of the Vampire: The Masquerade tabletop game and last year resulted in layoffs at White Wolf, with Paradox assuming direct control over production of future rulebooks. After all, you can’t get people excited about a new Vampire: The Masquerade game if the brand is irreparably tarnished. And for now, we’ll just have to take his word for it. 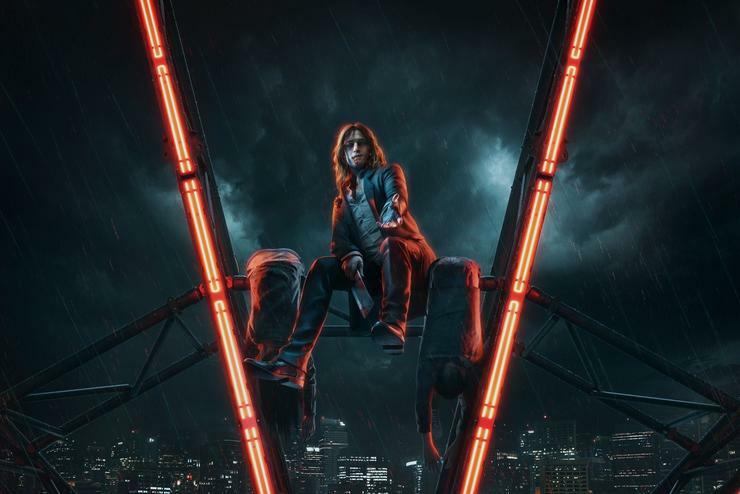 Bloodlines 2 is certainly a game for adults, as gritty as the original and with swears dotting what seems like half the dialogue trees. Nightlife is still (obviously) prevalent, as is violence. The combat system is brutal, with some of the most impactful first-person melee fights I’ve seen since Dying Light. Hits send enemies flying, and there’s a neat trick where the camera occasionally pulls into third person to show off a particularly wild animation—running up the wall and leaping off to punch someone in the face, or flipping over them and delivering a hit to the back. It’s slick, in a way the first game absolutely was not. You have vampiric powers as well, of course. As a Thin Blood you’ll start with one of three powers: You can glide, turn into mist and fly through tight areas, or use telekinesis. And you only get one, which forces you to use the environments in different ways. Later in the game you’ll also join a clan, becoming a Full Blood and getting access to additional abilities. Like the original Bloodlines, there are obvious inflection points everywhere. You’re picking one option or another, both in dialogue but also in how you approach the game and its missions. That sort of engenders Bloodlines 2 to possible replays, though it’s very different from the infinitely replayable fare Paradox typically focuses on. Asked about that, Paradox says that post-release content plans are still in flux, but that they recognize they won’t be releasing new features the way they might for a Crusader Kings or a Cities: Skylines. That said, Paradox is known for releasing some features free, others paid, and that will continue for Vampire: The Masquerade – Bloodlines 2. Right off the bat, I’m told additional clans will come post-release, and that those will be free for all players while story-driven content (for instance) could be paid DLC. The last thing I’m curious to see more of? The environments. As I said, our demo spanned Pier 57 and Pioneer Square, two distinct and disconnected areas. This isn’t a sprawling open-world game, but rather a series of hubs. I was told that each map is sizable—the exact words were “larger than a few blocks in each direction,” which was mostly a response to how I phrased the question—and that you can travel to each area from the start of the game, with no mandatory linear path from place to place. Mitsoda also hinted at a pretty interesting quest structure for Bloodlines 2. After our contact Dominic’s untimely assassination, we took over his apartment and inside found a massive bulletin board full of conspiracy theory string-graphs. I’m told that analyzing that bulletin board will actually give players clues as to potential leads and characters in the game itself, directing you towards quests or points of interest, which is a level of environmental storytelling I don’t think I’ve seen any other game deliver on, and one I’m excited to try. I’m excited. That’s about it, really. A Bloodlines sequel has been a long time coming, and while I think we all expected this when Paradox acquired White Wolf, it’s still incredible to finally have one confirmed. Fifteen years is a long time to wait. If you’ve never played the original Bloodlines, it’s worth noting you can still buy it. It’s very much a flawed masterpiece, and the fan patch is pretty much a necessity, but it’s still a surprisingly interesting experience today. What it does right, it does very right. And you’ve got plenty of time, as well. 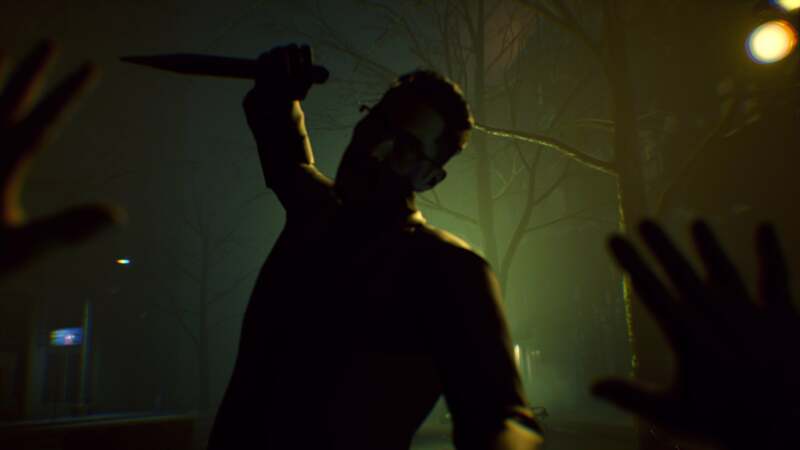 Vampire: The Masquerade – Bloodlines 2 won’t be ready for release until 2020. I wouldn’t be surprised if that’s a late 2020 either, coinciding with the rumored release of next-generation consoles. We’ll bring you more news when we have it, likely at E3 or perhaps Paradox’s annual fan convention later in 2019. Until then, might as well spend some time in vampire-ridden Santa Monica.